Note: This post is a work in progress and will keep on updating itself over the next few hours. 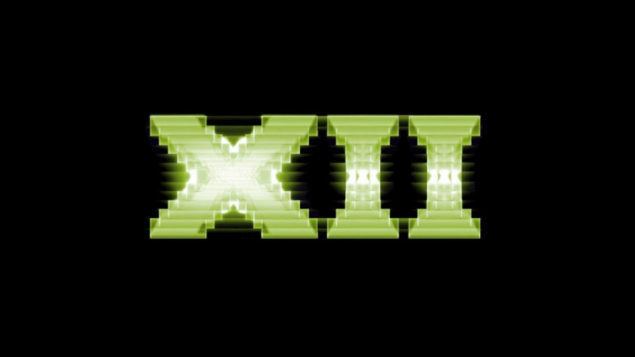 Ladies and gents, Microsoft has finally released the much awaited DirectX 12 API. 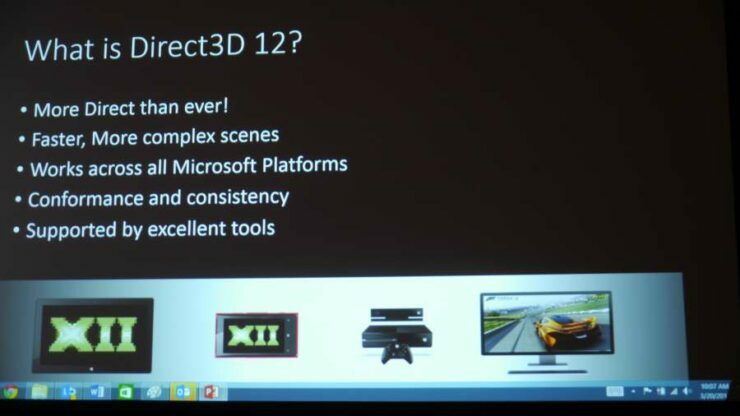 Direct3D 12 Tech Details: Full Mantle Features, Multicore Scalibliity, Memory Management and More. 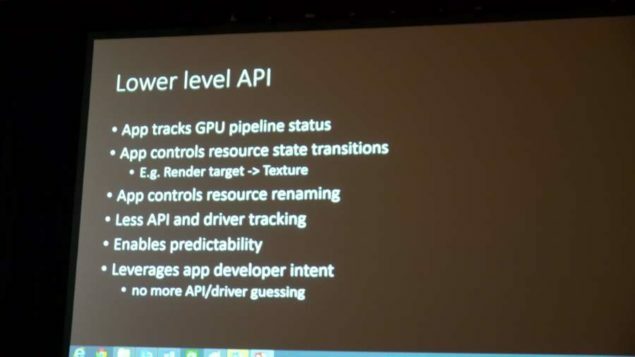 During the actual reveal, Microsoft talked a lot about how the CPU overhead is a major problem and how the performance of GPUs is going constantly uphill while the performance of CPUs is not increasing proportionally. 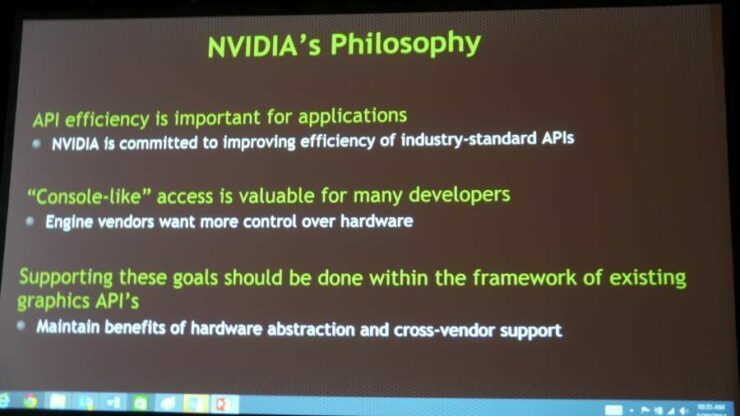 They also correctly noted that single core performance of CPUs is increasing at a snails pace. 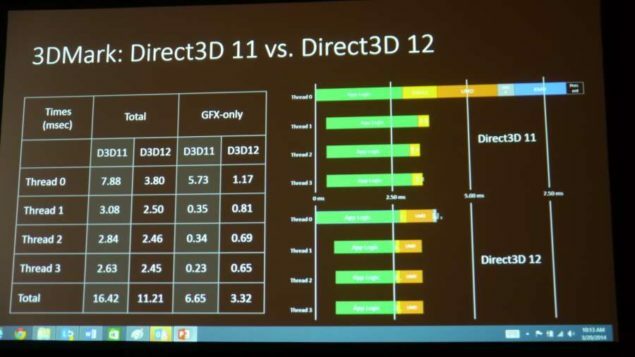 The answer is ofcourse to put more load on the GPU so no bottleneck is established, and the way to do it, you guessed it right folks, the Mantle way.DX12’s main aim is to solve the major CPU overhead problem and believe it or not, it actually goes one step further than even Mantle. In an example that Microsoft showed, it is revealed that in DX11, core optimization was low. 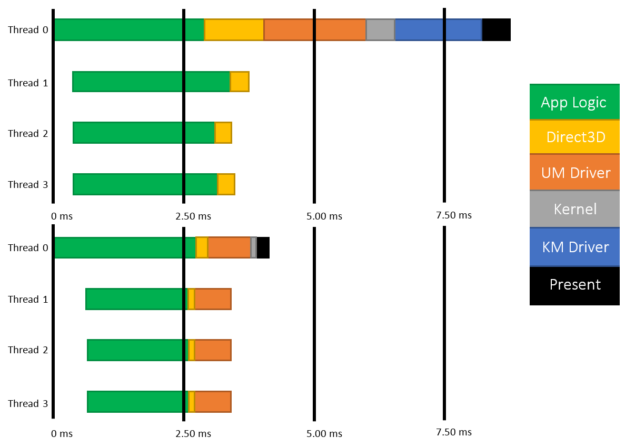 However in DX12 the workload is more spread and the actual work decreased as well. I have attached the benchmarks below courtesy of PCPER. There are also much more subtle features such as memory management, multi core scalability swizzled resources and much deeper access controls. 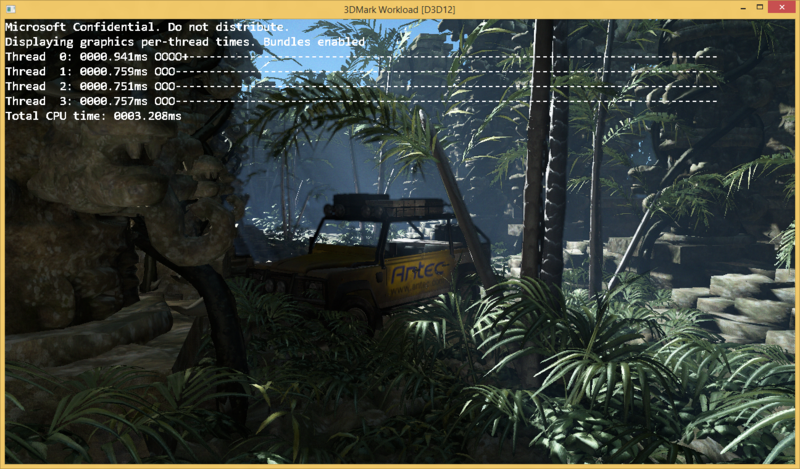 The net result is a potential gain of almost 20Gflops per frame (extra 4ms for the GPU). 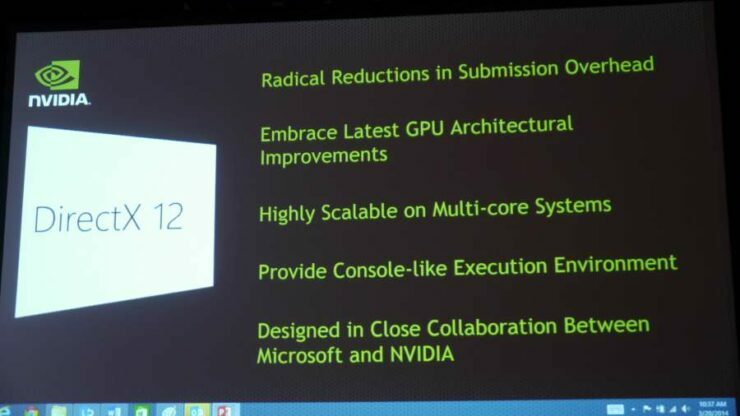 Microsoft also claims that the Xbox One will get a 20% boost per frame due to 20% more Gflops being available for use. 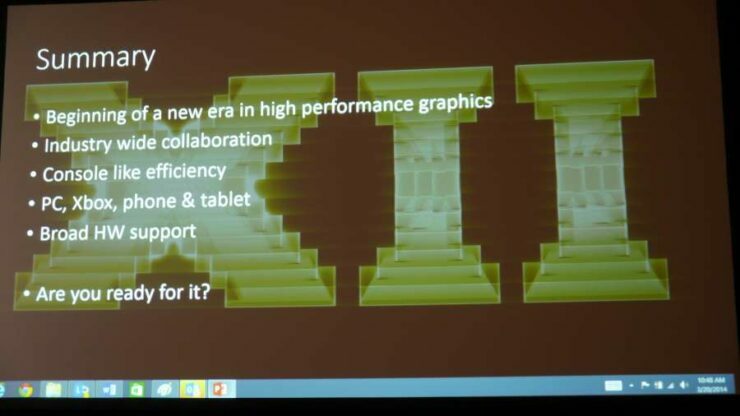 So apart from that, Directx 12 will support Fermi, Kepler and Maxwell which is basically all the current gen cards. This is only to be expected as Nvidia killed support for all DX10 based cards just a few days ago. So everything above the GTx 4xx mark is supported with the exception of the Geforce 405 GPU. All these GPUs will be tagged as “DX-12 Ready”.